This gray fire resistant shirt has attractive pearl snaps down the front, on the two flap pockets and cuffs. Each cuff has three pearl snaps and the sleeves each feature a vent with an additional snap closure. It's unusual to find a pearl snap FR shirt, but Rasco has gone to the limit to make this functional FR garment just as attractive as possible. It's also easy to care for and may be laundered either commercially or simply washed at home. It's available in both regular and long lengths and in sizes running from medium all the way up to 5XL. Custom applied embroidery is available on all shirts, with your choice of placement, color and font. I buy Rasco shirts because they're very durable and last forever and dont rip easily. 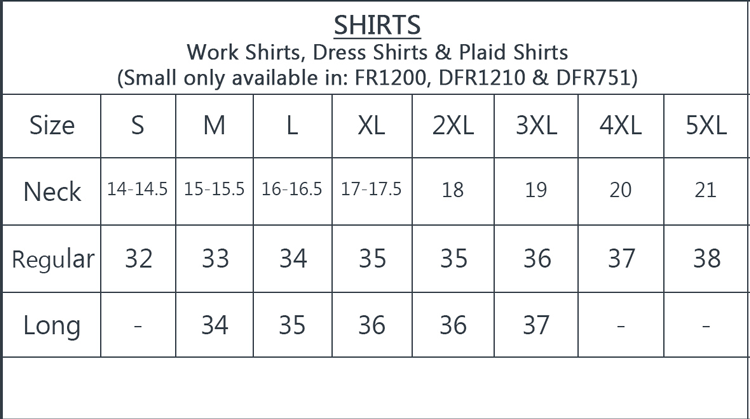 Also the price is very reasonable for FR garments.